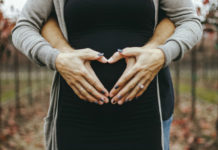 It’s always a good idea to keep up some sort of fitness regime while pregnant, although what is a suitable level of exercise for you will depend on a number of factors, including your pre-pregnancy fitness level and exactly how much the demands of pregnancy affect your mood and energy levels day-to-day. The benefits are endless, though – going to the gym while pregnant will help to alleviate aches and pains, reduce constipation, help you sleep, lower your risk of gestational diabetes, make you less prone to depression, and can even lead to a shorter, less complicated labour. Whichever exercise programme you choose, make sure you seek professional advice and ensure your instructor knows you are pregnant. A suitable programme will focus on exercises that don’t put any unnecessary pressure on the stomach. 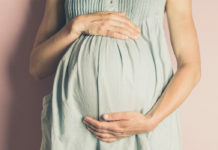 Try to focus primarily on seated movements if lifting any weights, as standing and performing weight-resistance movements while pregnant can be unsafe as your bump will alter your natural centre of gravity and make it harder to maintain your balance. As your bump gets bigger, resistance bands are a useful alternative to free weights, as there are no weights to drop on your bump. Avoid exercises where you have to lie on your back as your enlarged uterus and baby can compress your vena cava, the major vessel that returns blood to your heart, which can lower your blood pressure and reduce blood flow to the placenta. Yoga and swimming are always safe bets during pregnancy too.